Caution: An entry to this hill is strictly restricted and a board instructing the same has been put up in order to prevent people venturing into this hill. 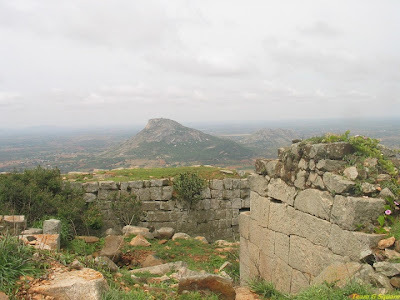 Ambajidurga, the second fort we were on a look out for, between Kaivara and Chintamani, seemed so near yet so far way. 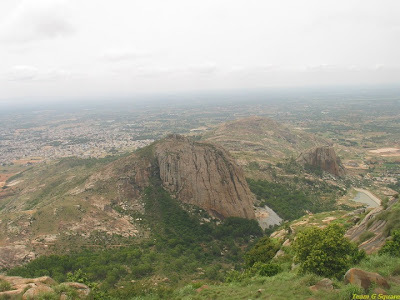 Ambajidurga is situated atop a hill adjacent to the very well known cave temple of kailashgiri and the temple authorities have banned the entry to this hill fort owing to the unfortunate incidents that have taken place here a few years ago. long back, during our visit to Kailashgiri, we had inquired about Ambajidurga and temple authorities simply denied its presence and refused to give any information, only saying that Ambajidurga was another name given to Kailashgiri. When we told them that the fortification on the neighboring hill was clearly visible and insisted on details about the fort, they replied that there was no route to the hill and no one can go there. So we did not bother much about it, and thought we will explore this place when the time is right. This day was not too far from the day that we conquered Rehmangarh! 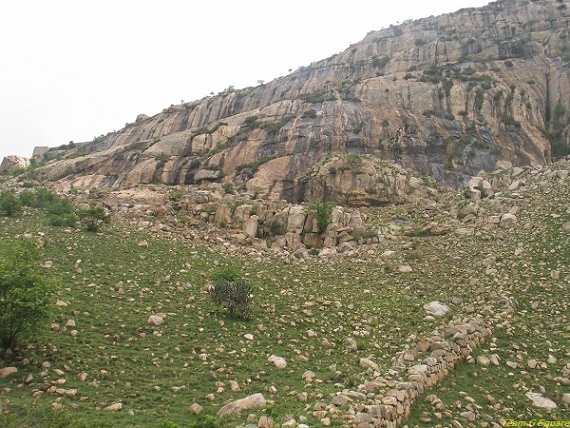 We were much eager to conquer Ambajidurga. We reached the spot from where the hill base from where fortification was clearly visible. An old lady who stopped by told us about the route to the hill top and gave us directions. We were glad that a route to the hill top existed and went ahead following her directions. The hill was gigantic and we looked too small in comparison to its massive size. 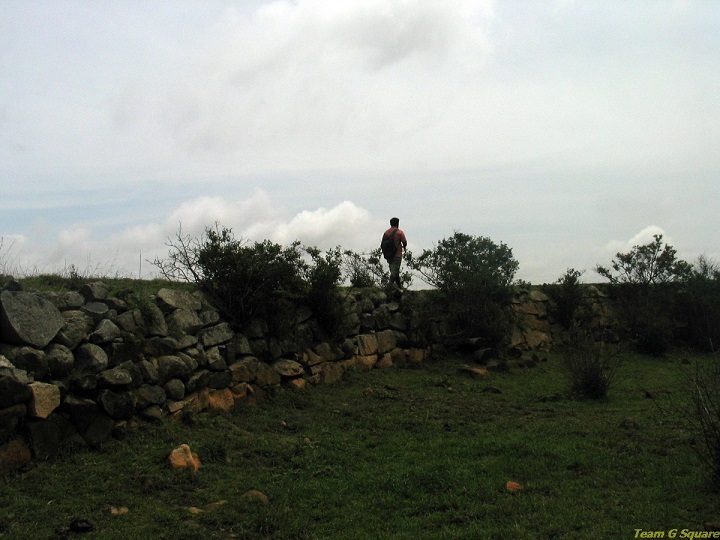 Overnight rains had made the path slippery, but that didn’t matter much to us as we were engrossed in the thought of reaching the fort. Our initial climb was a little tricky as after reaching a certain point, we realized we were heading in a wrong direction. We halted and to changed our course of climb and headed in the right direction. 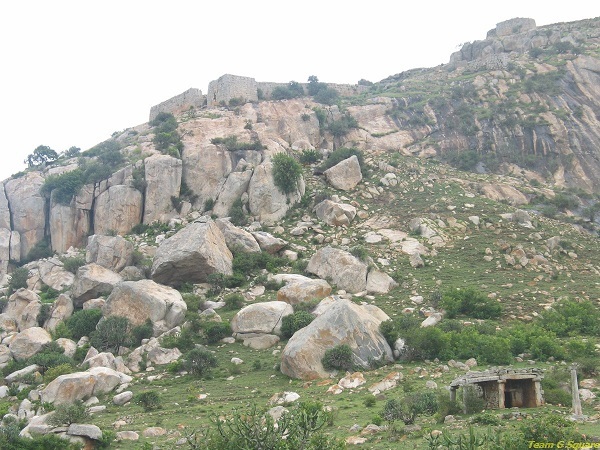 After a few minutes of trek, we reached the first tier of the fort on the first hill (or the lower hill) and rested here for a while. 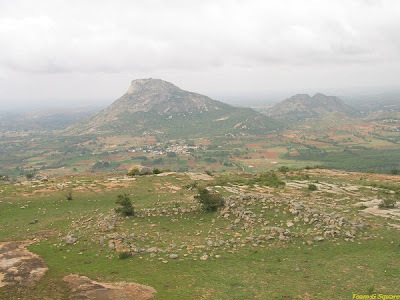 Later, a short walk lead us to the top of the first hill which was an open plain land having a temple dedicated to Lord Hanuman and a few fort ruins. 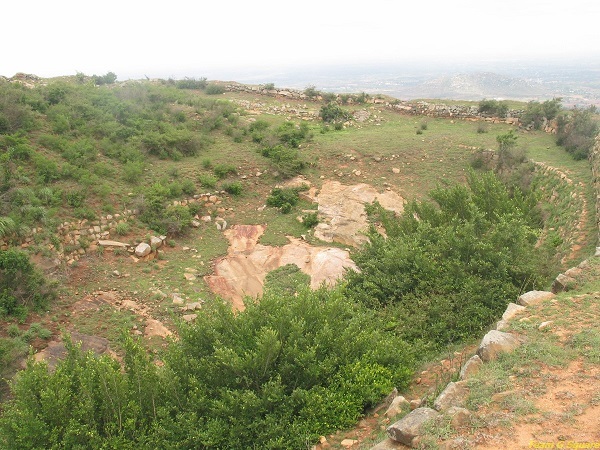 We were able to view the fortification on the upper hill but found no specific route. After investigating, we finally decided to make our own path and succeeded in our venture within no time. We were at the fort entrance, and had a bird’s eye view of the surroundings including the now dwarfed fort of Rehmangarh. The hill rises to about 4400 ft above mean sea level and was initially fortified by the local Palegars, which was then rebuilt by Tippu and finally fell into the hands of the British. There is a small temple atop the hill dedicated to Lord Shiva and a few ruined structures and water tanks. We were quite happy for having explored this fort too. We spent some time at the top and started to descend slowly and carefully down the hill. Our descent was a little tiring but calm, until we heard a person standing at the hill base shouting and signaling us to come down quickly. Initially, we thought of him to be a shepherd boy calling out to his cattle, but later realized he was indeed waiting for us! 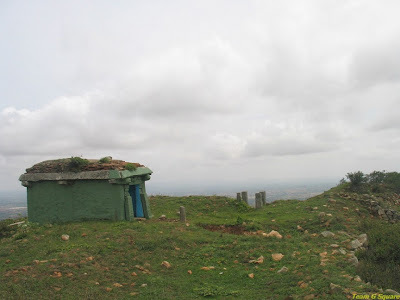 Once we reached the base, he literally started shouting at us asking whose permission we had taken in order to go to the fort and my wife retaliated saying, we had inquired and only at the old lady’s suggestions, we decided to climb as she had not warned us about any restrictions. While he forced us to accompany him to the temple authorities, we insisted him on showing his identity card and if he did, we would surely go with him. Somewhere, we thought he was boasting about himself being a guard to the hill we had just explored. He argued saying there was a big board put up right at the entry point which strictly restricted any further entry. Truly, we were not aware of such a board. There was an exchange of words between him and us, and on demanding him to show where the board was put up, he took us a little away from where we started our trek and alas! There was the board! We told him that we had taken the path present much before this board and therefore had missed seeing it. We also questioned him about his absence during the time of our entry at the starting point. If he were to be a guard, he should have done his duty and cautioned us. We would have not ventured further at all. 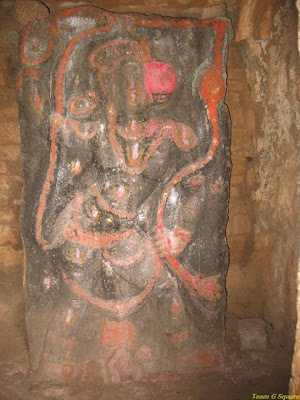 Finally a person associated with the Kailashgiri temple management who by chance had come to pick him, spoke to us and warned us in a rough tone saying that the place we had just ventured was really not safe and we shouldn’t have gone so far. On saying that we were not really aware of the board as it was put up in a wrong place and since we had already made a safe return, there was no use of telling us now not to have ventured. There was an exchange of words again. It was slightly upsetting as this was the first time we had encountered such a rude behavior. Though our conversation ended sourly, we were quite happy that we had already explored the fort before they came and realized we would have missed so much, just in case destiny had taken us on the route towards that board! This was our dual-fort-adventure that ended with destiny being on our side. With both the regions being popular tourist spots, it’s quite hard to believe the fact that these hills are actually unsafe. We personally did not feel so, but who knows. 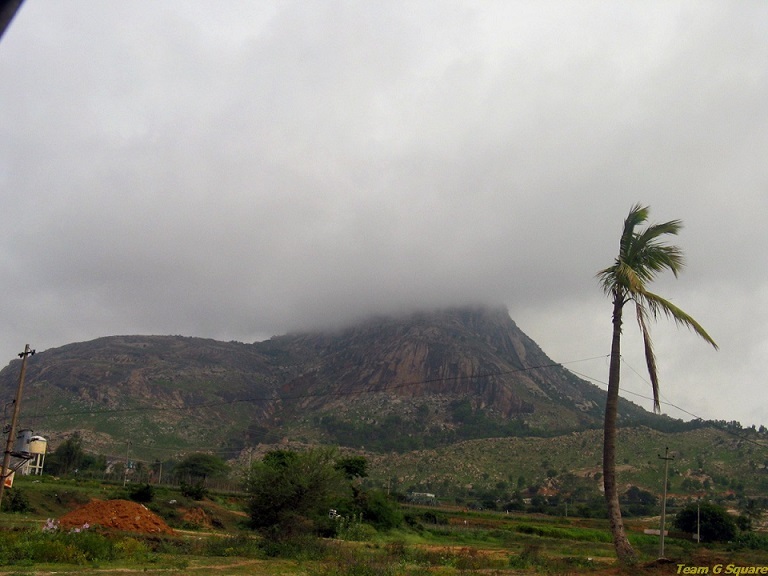 Many places in Kolar district are considered unsafe, including the Antharagange hills. Fascinating place and great shots. I have traveled this area, but missed both the forts. Wonder what makes it unsafe. Congratulations for scaling both successfully, its no mean achievement. You guys are amazing!! Great to know you tasted the forbidden fruit! :) and shared it with us too!! 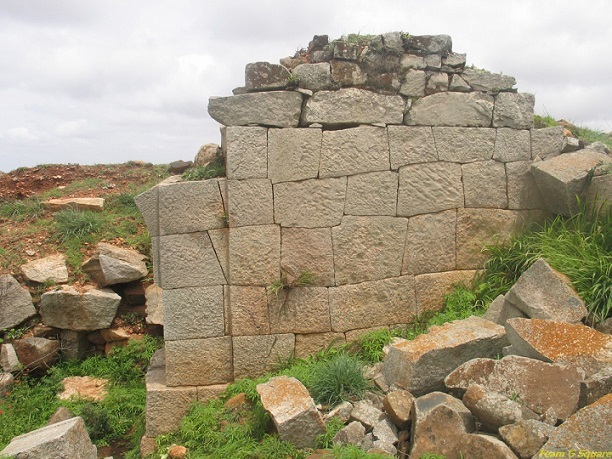 Great shots of interesting fort. Interesting fort to hike. Nice captures and narration. Nice adventure. Any idea why it is unsafe? At many places, locals discourage city dwellers from venturing into such areas but never in such rude manner. @Sudhir and Aravind, the so called guard informed us that a few girls who went in a group to venture the hills were found mysteriously dead in the hills. That apart, thefts are supposedly a quite common occurrence in these hills. And for obvious reasons, they prefer to prevent us from going there. Wow..what an interesting place to hike! Great photos! This is quite an adventure, bit scary too but must say, kudos for your dare and am so glad everything went well. Still, I hope you will cover all bases next time around since presence of anti social elements at such deserted places is common especially once it is abandoned by the authorities itself. Seems Like a quite adventurous trip and the fact that it is closed for common people makes it even more interesting..
Quite an adventure. Informative post. adventure trip ? but why is this unsafe ?? makes me curious and unanswered .. did you guys not ask them why unsafe ??? some Maoist hide out or robbers or ghosts or a place where some state level politician counts his treasure out of scams ?? In any other country such forts would be marketed as a prime attraction and well maintained. Well happy to hear that you came back safe.